Hard and soft Maryland Blue Crabs, fresh from the Chesapeake to you! 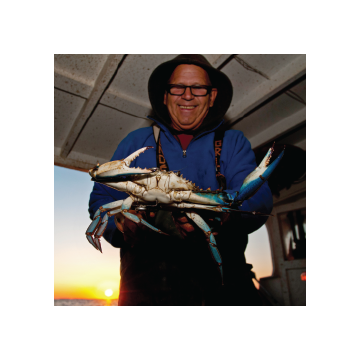 We are deeply committed to the ecology of the Chesapeake Bay, and to the idea of maintaining the blue crab as a sustainable natural resource for the future. Coveside Crabs are superior because they are always: Alive. Local. Handled with Care. Graded to the Highest Degree. 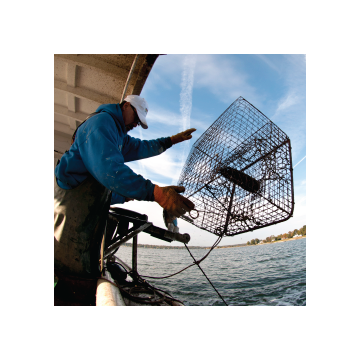 With over 25 years commerical crabbing experience, we've come to know plenty about the crabbing industry. Check out our resources, you'll be sure to learn a thing or 2! Coveside Crabs is a proud participant of the Maryland Department of Natural Resources' True Blue Program. 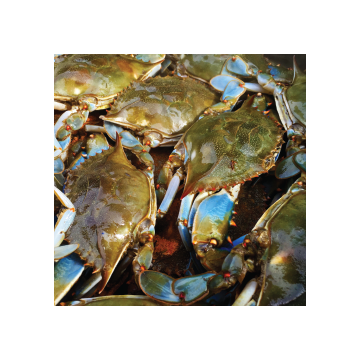 Every crab at Coveside is responsibly harvested from the waters of the Chesapeake Bay! Stumbled across their add on the back of the City Paper 3 years ago on my birthday. 20+ trips later they have yet to disappoint. If you like to steam crabs yourself, their live crabs are the best in the state. Keep doing what you do guys!! I stumbled upon this Facebook page looking for local live crabs to bring home to PA for my mom's birthday. My entire family could not have been more satisfied! The entire experience was awesome, Lee was helpful and knowledgeable, the crabs were a great size and full of thick, sweet meat. I will definitely be coming back for more! Best Maryland crabs period! Consistently deliver packed, sweet, full of mustard Maryland crabs. Pound for pound or dozen for dozen, no one can do it better than Coveside Crabs. Quality, Honesty and Integrity matters! Customer for life! Excellent crabs I'd say the best I've had this season. The seasoning was delicious too! Will be coming back for more in the future.